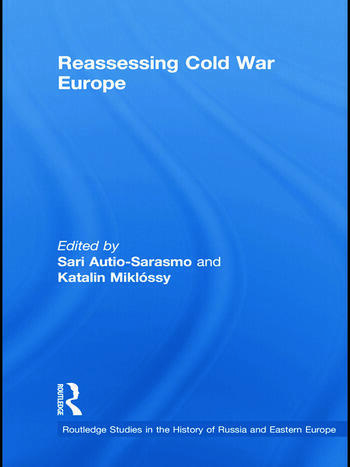 This book presents a comprehensive reassessment of Europe in the Cold War period, 1945-91. Contrary to popular belief, it shows that relations between East and West were based not only on confrontation and mutual distrust, but also on collaboration. The authors reveal that - despite opposing ideologies - there was in fact considerable interaction and exchange between different Eastern and Western actors (such states, enterprises, associations, organisations and individuals) irrespective of the Iron Curtain. This book challenges both the traditional understanding of the East-West juxtaposition and the relevancy of the Iron Curtain. Covering the full period, and taking into account a range of spheres including trade, scientific-technical co-operation, and cultural and social exchanges, it reveals how smaller countries and smaller actors in Europe were able to forge and implement their agendas within their own blocs. The books suggests that given these lower-level actors engaged in mutually beneficial cooperation, often running counter to the ambitions of the bloc-leaders, the rules of Cold War interaction were not, in fact, exclusively dictated by the superpowers. Sari Autio-Sarasmo is a Senior Researcher at the Aleksanteri Institute (Finnish Centre of Russian and Eastern European Studies), University of Helsinki and Adjunct Professor at the University of Tampere, Finland. Katalin Miklóssy is a Researcher at the Aleksanteri Institute, University of Helsinki and Adjunct Professor at the University of Helsinki, Finland.